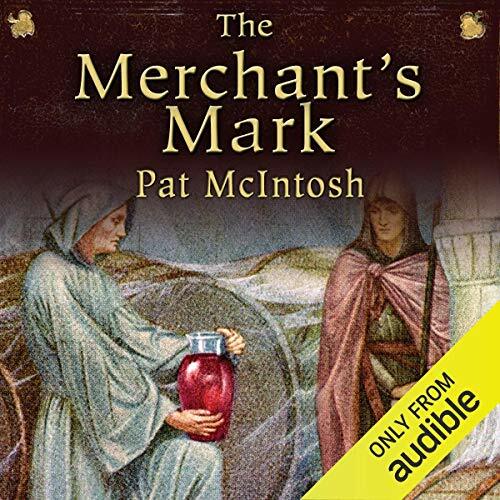 Showing results by narrator "Andrew Watson"
The tenth story in the popular Gil Cunningham series set in medieval Glasgow. 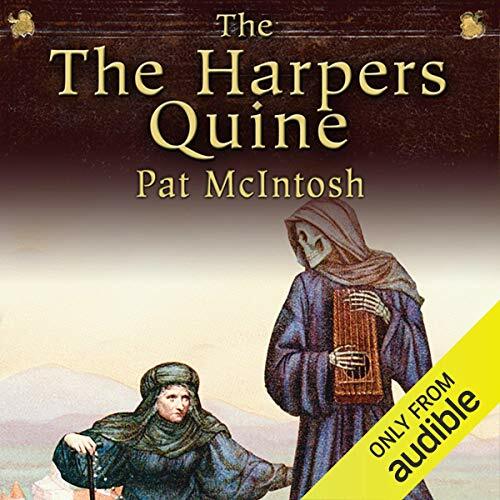 'The tale seems very improbable,' Gil Cunningham said. 'How should the Devil enter a religious house and carry off one of its members?' How indeed? But Arnold Fleming, the widely dislike pensioner, or corrodian, lodged in the Dominican's house in Perth, has vanished from a chamber, and a local knight and his mistress claim to have seen the Devil abroad that very same night. Gil Cunningham had hoped that the first time he set foot in the brothel on the Drygate it would also be his last, but by the time all was settled he felt quite at home within its artfully painted chambers. The bawdy house, along with the neighbouring property and two more in Strathblane, are all part of a deal offered to Gil and his wife Alys by the forceful Dame Isabella. When the peat-cutters came to report the dead man, Gil Cunningham was up in the roof-space of his mother's house, teaching his new young wife swordplay. They believe the corpse to be that of a local missing man. His wife and the widow who runs the local coalmine are sure the body belongs to someone else, but then they find themselves accused of having killed him by witchcraft. And if the corpse is not the missing man, who is it? Gil and Alys try to get to the heart of the matter. 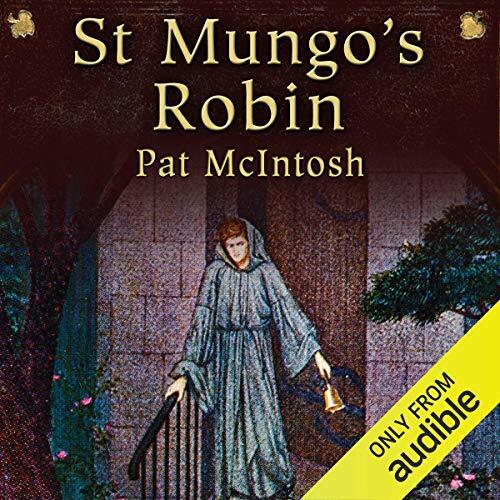 Tied to St Mungo's Cross by the cathedral to be cured of her madness overnight by the saint, the young woman is found in the morning beaten and strangled, still tied to the cross. But is she who she seems to be? And who would flout the saint's protection like this? 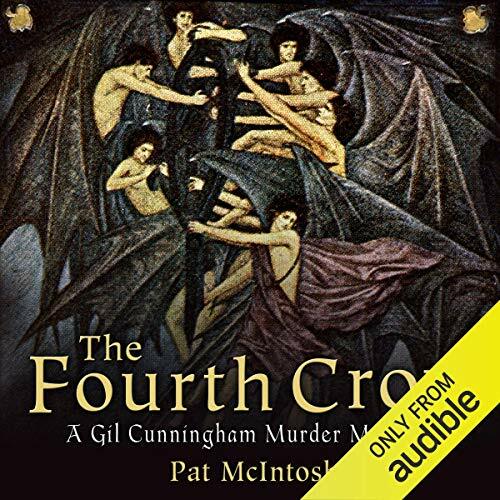 Gil Cunningham must trace the dead woman and find her enemies, track down the thieves and murderers and identify the watchers in the shadows, particularly the elusive fourth person who holds the secret of what happened that night. Questioning cathedral staff and apprentice boys, pilgrims and tradesmen, he uncovers only more puzzles. 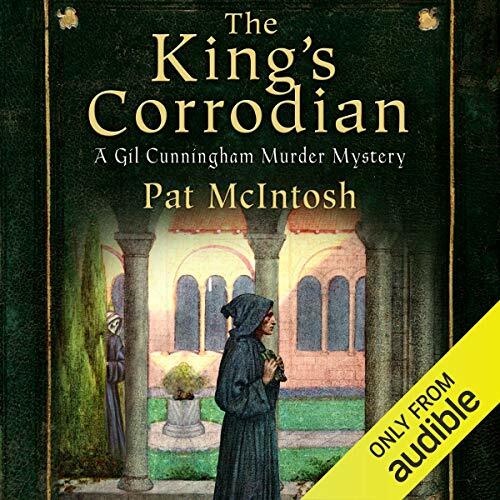 At the May Day dancing at Glasgow Cross, Gil Cunningham sees not only the woman who is going to be murdered, but her murderer as well. Gil is a recently qualified lawyer whose family still expect him to enter the priesthood. 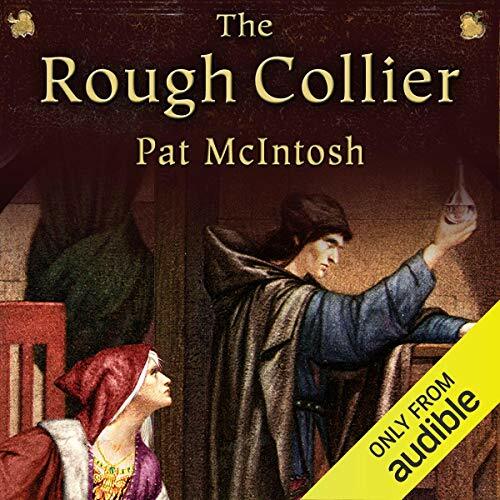 When he finds the body of a young woman in the new building at Glasgow Cathedral he is asked to investigate, and identifies the corpse as the runaway wife of cruel, unpleasant nobleman John Semphill. 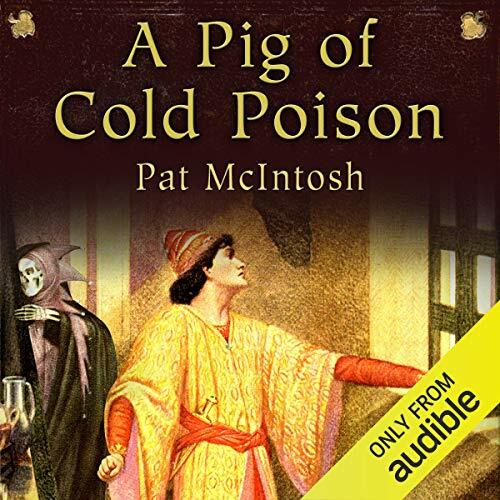 With the help of Maistre Pierre, the French master-mason, Gil must ask questions and seek a murderer in the heart of the city. The warden of St Serf's has been found dead in the almshouse garden. He appears to have been killed on the previous night but there are those who are convinced he was present at that morning's service, The elderly residents, the almshouse nurse and Humphrey, her deranged favourite, have all been set against one another by the dead man's scheming - and then there is the discarded mistress and almshouse ghost to consider. “And you are telling me,” said Gil Cunningham, “that David Drummond vanished away forty years ago and is now returned, seemingly not a day older?” “That’s about the sum of it,” agreed Sir William Stewart. 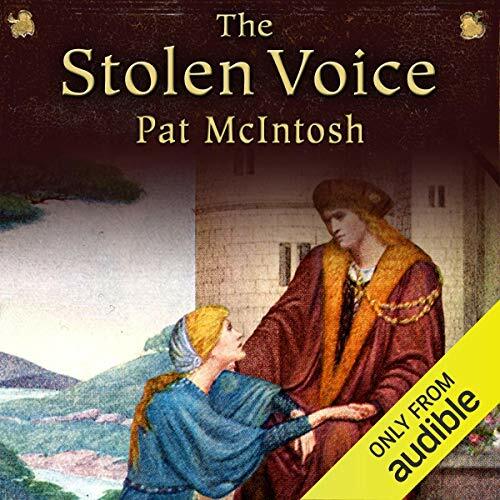 In Sir William’s remote part of Scotland it seems almost possible that a young boy could have been stolen away by the fairies and returned forty years later, no older – and if he isn’t Davie Drummond, who is he? And then he suffers a succession of near-fatal ‘accidents’. Although he was watching closely when the mummer was poisoned, it took Gil Cunningham several days and three more poisonings to work out how it was done. Danny Gibson and Nanty Bothwell, rivals for the affections of Agnes Renfrew, the apothecary's pretty daughter, are also good friends. Glasgow, 1492: Gil Cunningham remarked later that if he had known he would find a corpse in the university coalhouse, he would never have gone to the Arts Faculty feast. 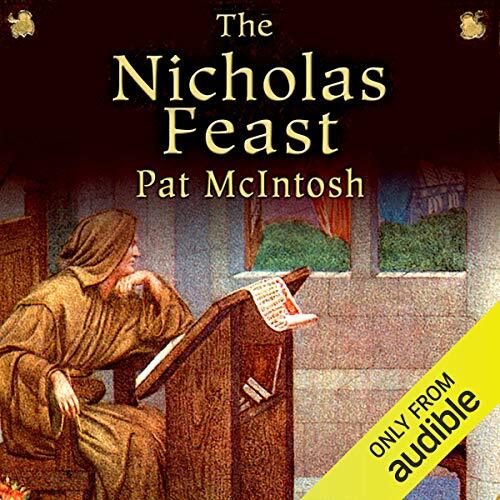 In this mysterious adventure Gil Cunningham returns to his old university for the Nicholas Feast, where he and his colleagues are entertained by a play presented by some of the students. 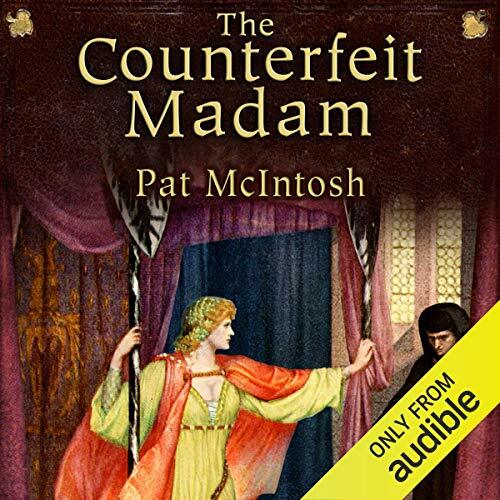 One of the actors, William Irvine, is later found murdered and Gil, assisted by Alys, begins to disentangle a complex web of espionage and blackmail involving William's tutors and fellow students.